Welcome To Green Leaf River Edge. Where Luxury Meets Living. What makes Green Leaf River Edge Apartments the best in off campus housing near Bosie State University? 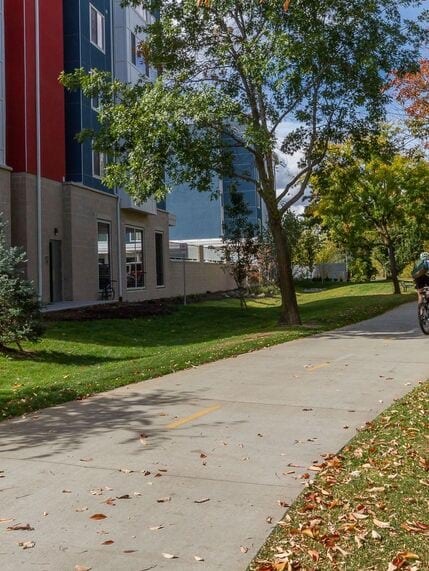 Only Green Leaf River Edge offers off campus student housing with a premium location directly next to the river (adjacent to the Greenbelt) and the convenience of living just a few blocks from both campus and Downtown Boise. 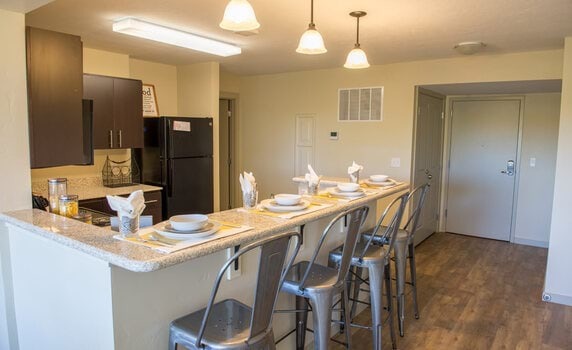 It might also be the sleek design of our modern, fully furnished apartments and exciting amenities that offer students attending Boise State University a total lifestyle experience. 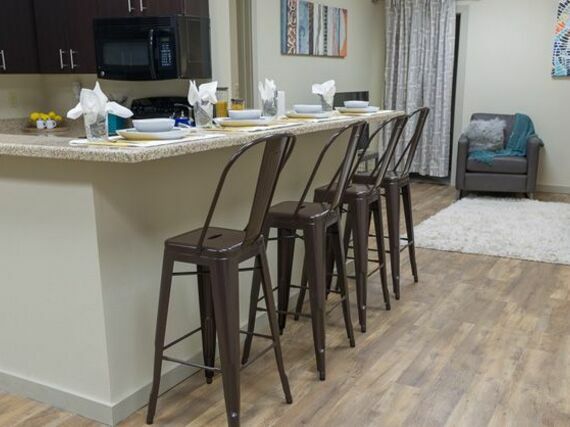 Our student apartments include stylishly appointed interiors with plenty of study space, beautiful island kitchens complete with dishwashers and granite countertops, in-unit washers & dryers and select units with private balconies. You will also enjoy all the perks we include like high-speed internet and cable (with HBO), as well as paid utilities and roommate matching. We’ve taken care of all the little details so you can focus on more important things. Or maybe it’s the friendly welcome we provide where every day we are dedicated to providing superior service and a community atmosphere you’re looking for. 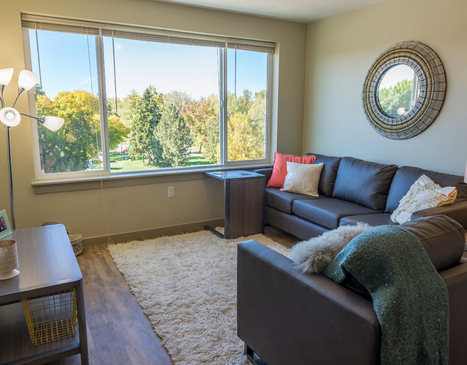 Our off-campus Boise State housing includes amazing shared amenities like a 24-hour clubhouse, a state-of-the-art fitness center, on-site coffee bar, spa room and tanning center. 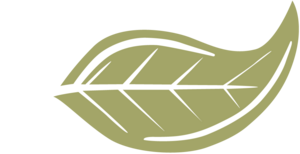 Select your apartment now for the upcoming semester and discover why Green Leaf River Edge is the first choice for apartments in Boise near BSU. Living Green is Living Smart – We all want to preserve natural resources and at Green Leaf River Edge we think this is very important. We want you to make a smart lifestyle choice and we are doing our part to help, including: Water Conservation – Low Flow Toilets, Faucet Aerators, and Irrigation Audits. Recycling – Utilizing on line leases, brochures and floor plans to avoid unnecessary printing, Use of recycled paper products, recycling containers so you can recycle too. Transportation – Assist residents in finding carpools and public transportation. Energy – Use of compact fluorescent light bulbs in all models and common areas, energy efficient appliances, ceiling fans. Maintain filters so HVAC systems and appliances run efficiently. Dual Pane Windows at most communities. When it comes to off-campus housing, a convenient location makes all the difference. At Green Leaf River Edge Apartments near Boise State University, you’ll find the perfect balance between the vibrant activity of campus life and the autonomy and freedom of an independent downtown living experience, helping you enjoy and take full advantage of the college experience. 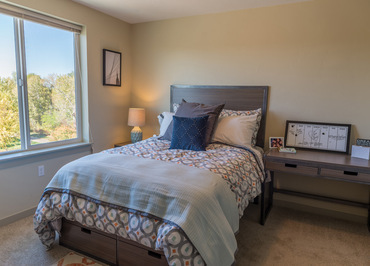 Situated on the scenic banks of the Boise River and minutes from the university, our stylish and modern Downtown Boise apartments give you easy access to everything the city has to offer. Whether you’re headed to class, doing some shopping or sampling the city’s many delicious cafes and restaurants, you’re never far from home when you choose Green Leaf River Edge. 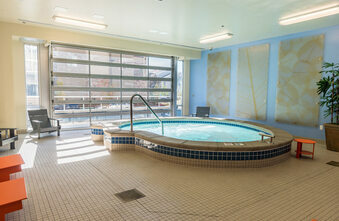 Looking for a little relaxation on the weekend? Spend the sunny afternoons lounging in the fresh air of Ann Morrison Park or stroll through the Boise River Greenbelt, located just steps from your front door. Students can also head across the river to check out the latest exhibition at the Boise Art Museum. Plus, with the convenience of easy access to the university shuttle, public transportation and major roadways, everything you need is always within reach. 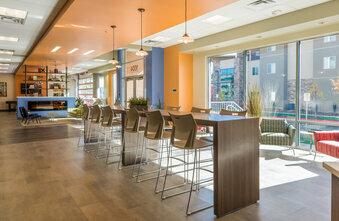 Come experience the very best in apartments near Boise State University at Green Leaf Edge.